Over the past few weeks I’ve been sensing something was changing in the energies, that our forward movement had either taken another unannounced detour or even stalled for yet another hiatus as it sometimes does and as synchronicity would have it, I just came across an article on exactly that. These past weeks have sent us sinking back into the intensity of clearing, cleansing, squeezing and pushing out the negativity or at least facing up to the residue of stuff we’d thought we’d dealt with months ago. It is a cycle we are getting familiar with and yet for the weary it is a process that still leaves us washed out, tired and depleted. It seems there is always something murky at the bottom of the abyss to be dredged up into the Light. Nevertheless, cleaning the pond does allow the water to sparkle and with the encouragement of some significant astrological movements this week, we might just find ourselves liberated from the shackles of the old and bouncing back into those radiant feelings of the new. We were on course for our new beginnings earlier in the year, and for some, including myself, certain manifestations did appear but as we look back we can also see that a few months into the year something was beginning to change. I began to sense this in my own circumstances around April but it’s taken a couple of months to fully understand the what’s and why’s. As it turns out, Karen Bishop has beautifully explained that we did in fact experience another ‘crash’ in this long and arduous journey and that in the broader perspective, what we manifested earlier in the year was not sustainable as it was not built with the right connections. So again, we find ourselves on yet another new course. A course that is directed by the Higher Energies but which we still remain an intrinsic part. So over these past weeks and months, we have in some ways been experiencing a shift from one path onto another which will hopefully have more success of sticking and actualizing into solid foundations for these long desired new existences. But we all know by now that nothing is ever certain in this journey and that fear has no place in our baggage. Typically, it is the fear that holds us back. The way forward is through the Heart. This is not new information and yet it still seems the elusive element in our journey. Open Hearts Clear Paths. So it would seem it really is time to dismantle our mental command centres and fully drop into the energy of Love, to really sink into the deep trust that our Hearts will guide us forward. 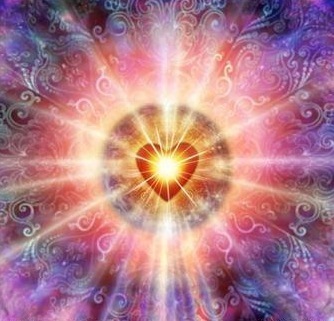 Seeing the world through the eyes of the Heart brings new levels of sensory perception to our awareness. It is an intoxicatingly, joyous existence but can we sustain it? It seems it is more that this is what will sustain us.